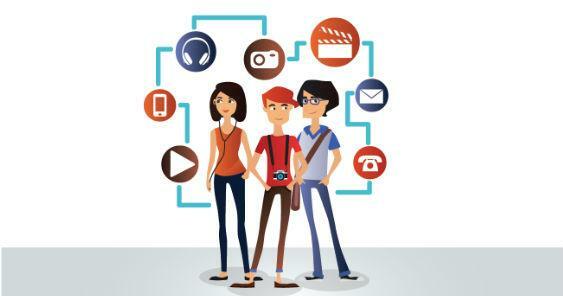 Ah, the millennial generation – I’m sure you have heard of this cohort of individuals. This is the largest generation of people in Toronto and many of them are at the age where they are deciding whether to buy real estate. 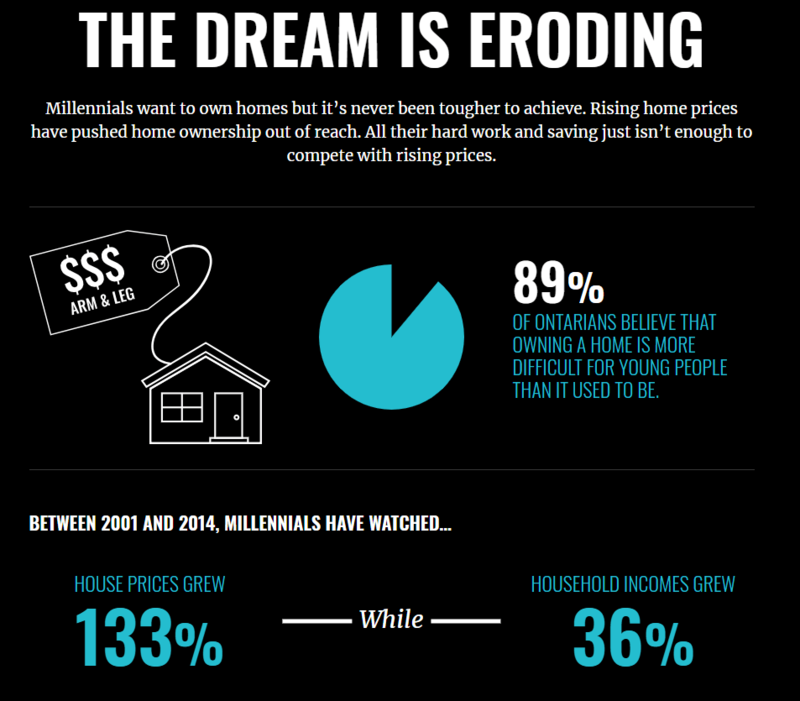 However, depicted below is a sad, but unfortunately true, the infographic on the state of real estate for millennials right now. 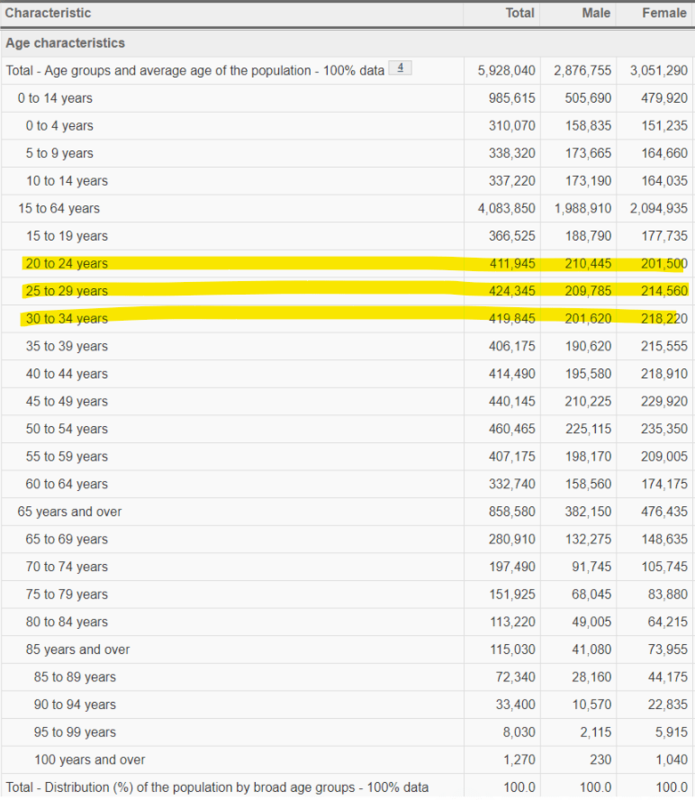 The Who – The millennial generation consists of people who were born from the 1980’s to 1994 (as per StatsCan). This would mean that on the high range of the spectrum, a millennial is 38 years old and on the lower range, they are 24. As such, most millennials have finished university by now and are likely to be in the workforce. To give you an idea of how large this cohort is in Toronto, have a look at Chart A below. The highlighted areas in the chart above represent the millennial generation. They account for 34% of the total workforce right now. This is NOT a small group of people in Toronto. It is huge! The Why – As investors, you must understand and stay on top of the trends and understand where they are heading. Whether you are leasing out your next property or selling your next property, your tenant or buyer is likely going to be a millennial. As a lot of the information and articles online posted by aggregates are not specific to Toronto, I took it upon myself and pulled the millennial average income stats from StatsCan – see below for more details. As per the highlighted area above, the average income of a millennial in Toronto is only $44,700. That is simply not enough to purchase a home, let alone rent one in this market! Purchase Rule of Thumb – A simple rule of thumb guideline for how large of a purchase a person can qualify for right now is 5 times their gross income. As you can see below, the average millennial income would barely be able to afford a bachelor condo in downtown Toronto right now; even a millennial couple would barely be able to afford a 1-bedroom condo in downtown Toronto. So does this mean that the average millennial is going to be perpetually renting? Very likely. Rental Rule of Thumb – When I’m filling condos in downtown Toronto for my clients, one of the rules of thumb that I generally use to determine whether a prospective tenant has the financial capability to pay for the increasing rents downtown is the 3 times rule. This means that a prospective tenant’s gross income must be 3 times what they are paying annually for rent. Let’s use the average income of a millennial for example $44,700. This means the average millennial can only use a third ($44,700/3) of their gross income or $14,900 on rent. As a result, an average single millennial person can only comfortably pay $1,242 per month in rent ($14,900/12). If it’s a millennial couple, on average, they can comfortably afford $2,483 per month in rent. Sadly, the average single millennial doesn’t even have the capability to rent a bachelor suite in downtown Toronto. Meanwhile, a millennial couple or 2 millennial roommates would be able to rent a 1+1 in downtown Toronto. No Reservations – With the pace that the Toronto real estate market is going at, real estate in our city is unfortunately not reserved for the “average” person anymore. Presently, the millennials who are capable of buying and renting in downtown Toronto are all making above average incomes or have financial assistance from alternate sources (i.e., their parents, inheritance, etc. ); that is a fact based on personal screening on many tenants and working with many different buyers. Here are some numbers for some incomes required in order to purchase a certain type of real estate in Toronto right now. Just because the average millennial income is priced out of the market does not mean that they will not find a way to make it work. Trust me, I’ve seen people get really creative. The Wrap – Everyone always seems to forget that real estate, the roof over your head, is not a want, it is a necessity. People will have to find creative ways to put a roof over their head, whether that is having more people under one roof or getting a second stream of income – they will do it. This is why I always preach owning starter homes (condos) in Toronto because there will always be a buyer or a tenant for it! If you have the ability to invest in the real estate market, now is the time! Previous Previous post: How to Capitalize on the Upcoming Rental Blood Bath! Next Next post: The Market is Crazy – What Should I Do?! Fixed or Variable Rate Mortgage?